We strive to be the most trusted seafood source for quality and sustainability through state-of-the-art technology and strict monitoring for safety and hygiene. This has resulted in the desired accreditations from select global food health, safety and sustainability organizations. 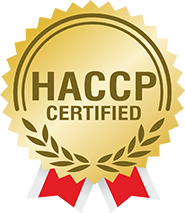 After extensive investigation and verification, Baby Marine Ventures was awarded the HACCP certification which is the gold standard in food safety in the food processing industry. We are also periodically monitored by the Export Inspection Council (Govt. of India), which is the competent authority on export food quality. The EU has established strict standards that allow only accredited companies to export to Europe. 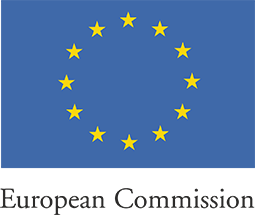 Baby Marine Ventures achieved its objective of meeting the standards required and was accredited by the EU. The US Food & Drug Administration (FDA), the world’s premier scientific, regulatory and public health agency, controls the introduction of seafood products into the US market. By ensuring its stock meets all stringent US hygiene and food safety criteria, Baby Marine Ventures was rewarded with the all-important FDA accreditation. BRC is the industry-wide benchmark for quality and food safety in EU. Baby Marine Ventures earned its BRC accreditation by adhering to its stringent quality, safety and legal norms. Baby Marine Ventures is certified with IFS Food, a GFSI recognized standard for auditing FOOD SAFETY and QUALITY of processes and products of food manufacturers. IFS audit covers many requirements related to SPECIFICATIONS COMPLIANCE of EU countries.